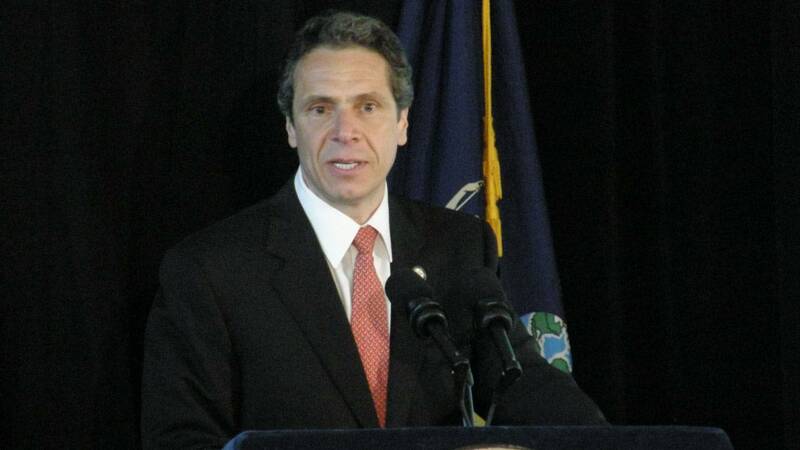 A Siena College poll finds Governor Andrew Cuomo is securely ahead of his challengers, Democrat Cynthia Nixon and Republican Marc Molinaro in his re-election bid. Meanwhile, Cuomo is using some of his substantial $30 million dollar campaign war chest to promote an anti-gun violence measure. The poll did not survey likely primary voters, who will vote in September, Siena spokesman Steve Greenberg says they’ll do that later this summer. But he says nevertheless, Nixon faces an uphill battle, by taking on an incumbent governor with high name recognition and a positive rating from two-thirds of Democrats. Nixon’s campaign is undeterred by the numbers and sees some positive signs in the poll. Spokeswoman Lauren Hitt says despite the governor’s heavy spending on TV and social media ads, and his presiding over the Democratic State convention in late May, Cuomo’s numbers have not moved significantly since Nixon announced her candidacy earlier this year. And Hitt says 60% of voters view Cuomo as doing a poor or fair job in office. “A lot of Democrats and Republicans are straight party-line voters,” Greenberg said. Molinaro spokeswoman Katy Delgado says the poll numbers are encouraging and says Molinaro is 16 points ahead of where the 2014 GOP candidate for governor, Rob Astorino, was at this same time in the race. And she says Molinaro is only four points behind Cuomo among independent swing voters, at 44 to 40 percent. Despite the positive polls, Cuomo seems to be taking no chances with his re-election bid. He embarked this week on a school bus tour, stopping at schools in the Bronx and the Hudson Valley, to promote an anti-gun violence bill that would allow teachers, school administrators and even parents to get a court to confiscate a family’s guns if a student is believed to be a potential danger to themselves or others. Greenberg, with Siena, says for politicians running for re-election, sometimes it’s better to have the issue than to get a law enacted.